Federal Ammunition has released a new type of small rifle match primer optimized for AR15s and similar semi-automatic rifles. 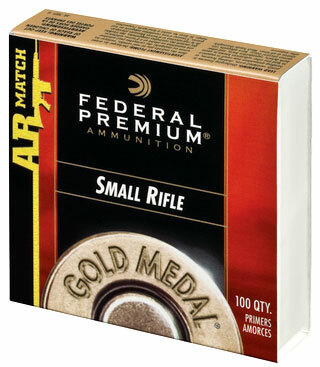 The new Gold Medal® AR Match Primers, designated GM205MAR, have harder primer cups than the popular Federal 205M match primers. The harder cup is designed to perform better in semi-automatic actions that use free-floating firing pins. A Federal spokesman said that Federal’s “normal” 205M primers were not ideal for use in firearms, such as ARs, with free floating firing pins. Hence Federal designed the new GM205MAR primers. These are available now from major vendors such as Midsouth Shooters Supply, which offers the new GM205MAR primers for $35.22 per thousand. For quite some time, CCI has offered its #41 milspec small rifle primer for use in ARs. A CCI #41 primer is a ‘magnum’ strength primer, equivalent to the CCI 450 Small Magnum rifle primer. However, the #41 primer is made with a bigger gap between the tip of the anvil and the bottom of the cup, creating a slightly less sensitive primer. The #41 primer also has a thicker bottom on the cup than the CCI 400 primer. Share the post "New Federal Gold Medal Match Primers for ARs"
The folks at the NRA Museum have created a new 304-page, photo-illustrated history of firearms. With over 1500 photographs, this new book covers all types of firearms, from small handguns to large rifles. Illustrated are deringers, flintlocks, revolvers, semi-autos, machine guns, muzzle loaders, long rifles — and much more. Researched by the NRA’s historians, The Illustrated History of Firearms is a worthy addition to any gun aficionado’s library. You can pre-order the book now from Amazon.com for just $19.79 (list price is $29.99.) The NRA Museum will be releasing two companion volumes, also available through Amazon: Guns of the Wild West, and Guns of World War II. 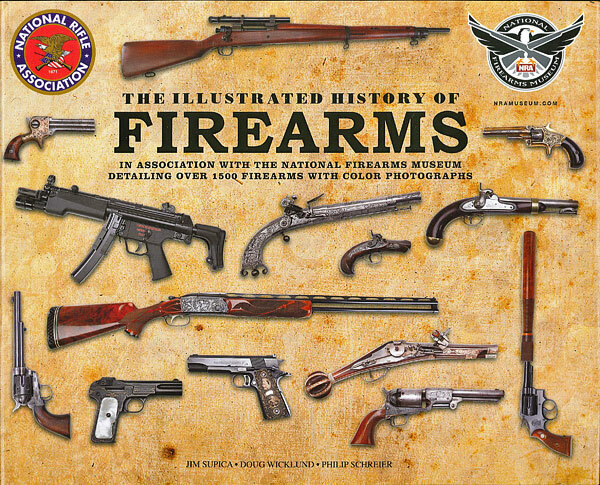 Share the post "New Illustrated History of Firearms from NRA Museum"